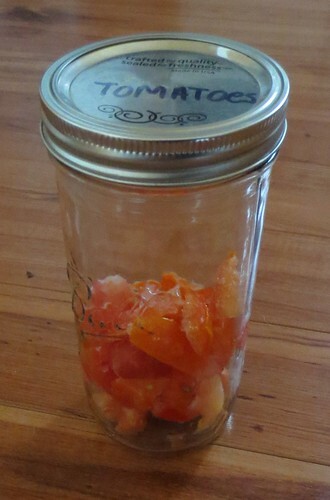 When I need some tomato pieces, I just pull out the jar and remove a few pieces as needed. I chop them up on the cutting board if I want puree tomatoes for my recipes. Otherwise you can just shake out some frozen tomato pieces directly into your soup, chili or stew pots. I love that it is so simple and I’m not wasting the leftover tomatoes pieces.